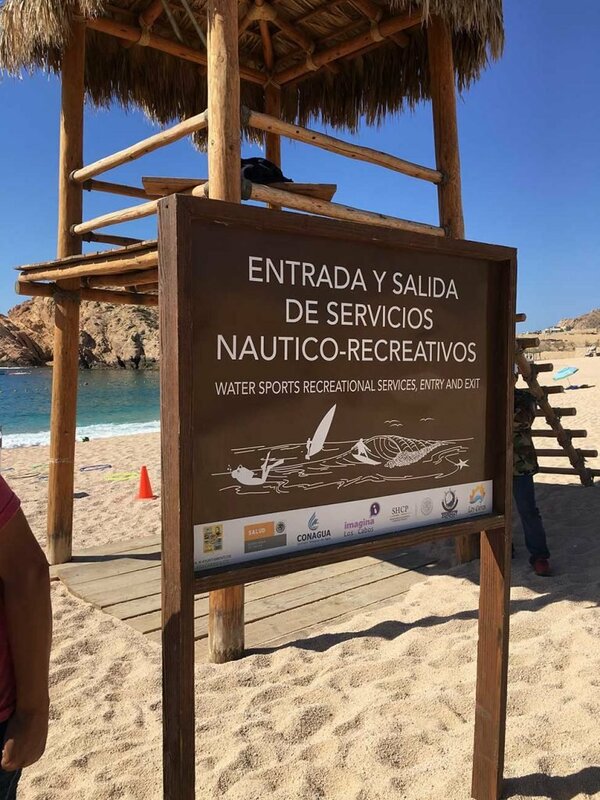 Cago San Lucas, San Jose del Cabo, Los Cabos, Baja California Sur, Mexico. 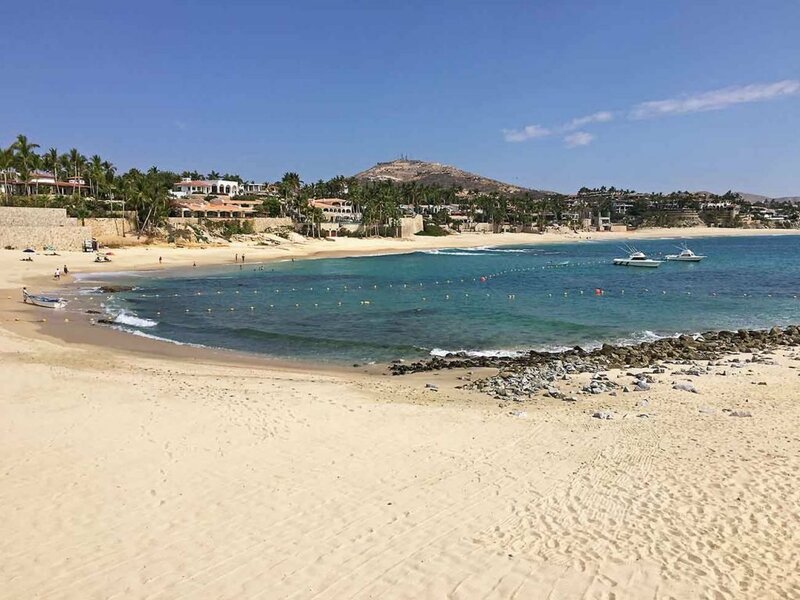 Currently there are 8 Blue Flag beaches in Mexico, three are in Los Cabos. 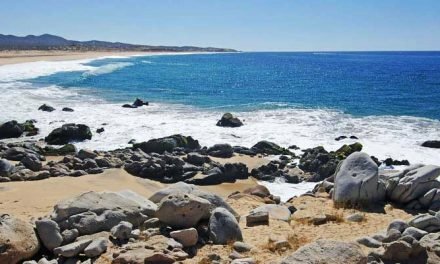 Blue Flag Beaches for Los Cabos 2017 – 2018 Season. In order to qualify for this prestigious award, a series of stringent environmental, educational, safety-related and access-related criteria must be met and maintained. 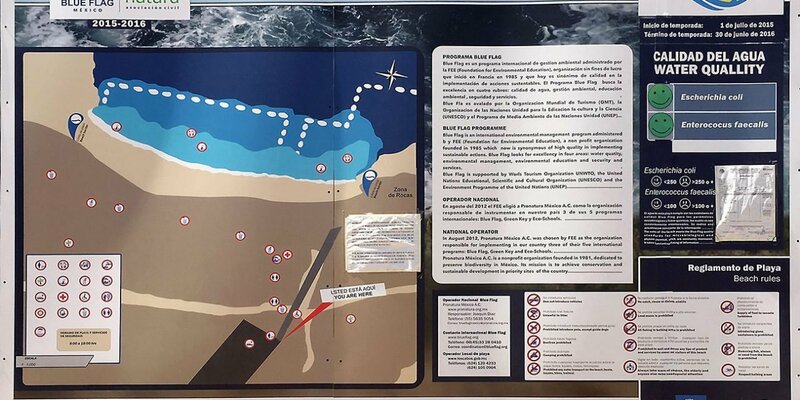 The Blue Flag programme promotes sustainable development in freshwater and marine areas. 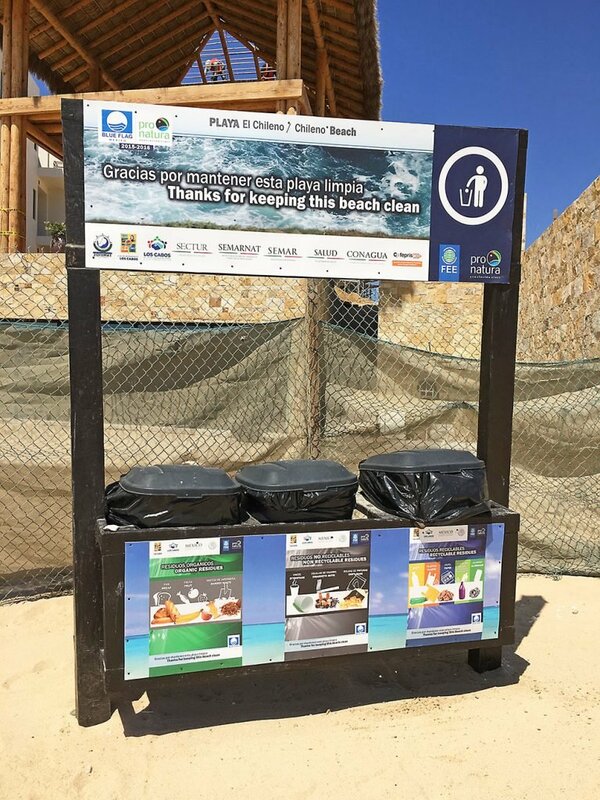 It challenges local authorities and beach operators to achieve high standards in the four categories of: water quality, environmental management, environmental education and safety. 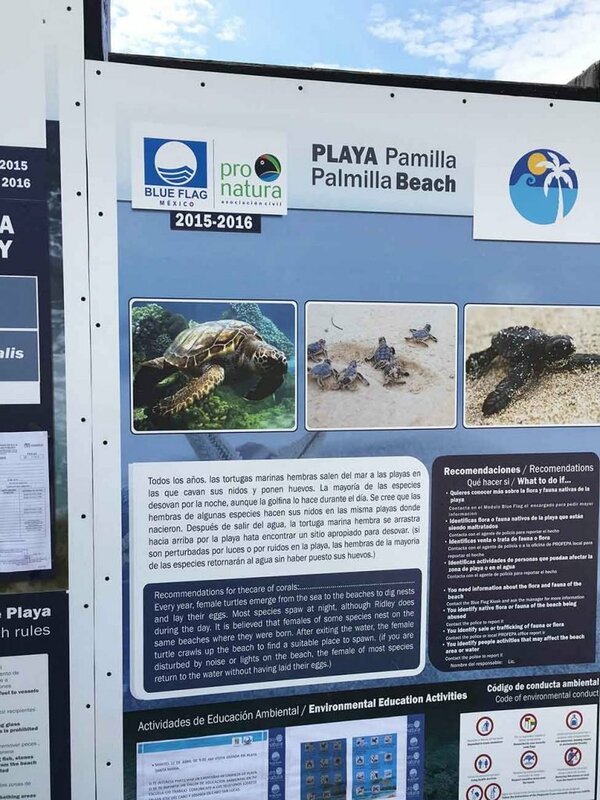 Over the years, the Blue Flag has become a highly respected and recognised eco-label working to bring together the tourism and environmental sectors at local, regional and national levels. 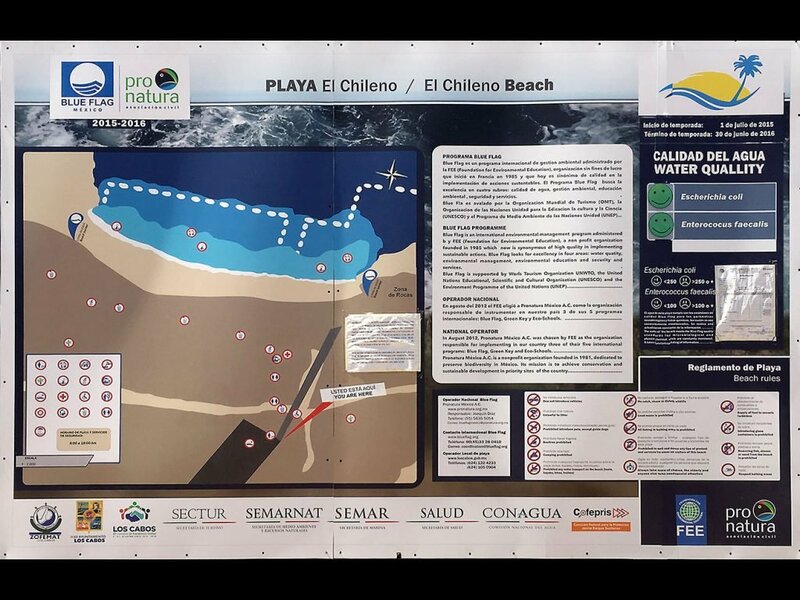 Santa Maria Beach and Bay, Tourist Corridor. Photo March 18 2016. 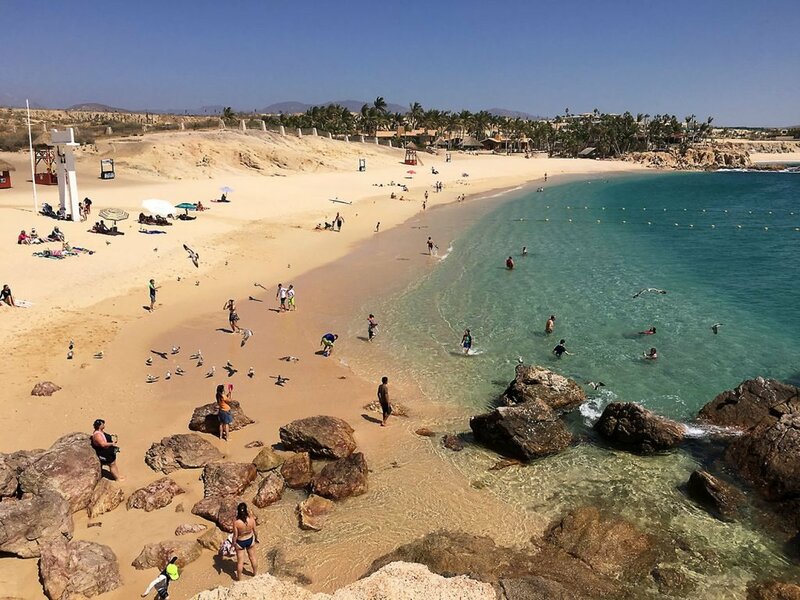 The El Chileno and Palmilla Beaches recognized as the cleanest in the world. 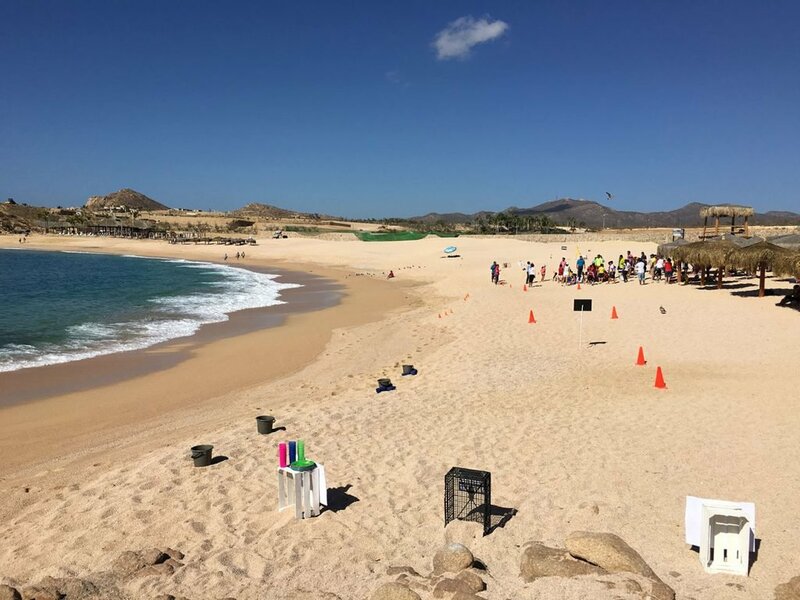 Los Cabos, Baja California Sur – Before the majestic scenery of the El Chileno and Palmilla beaches, federal authorities of the National Water Commission, the Ministry of Tourism and Pronatura Mexico A.C. accompanied the mayor of Los Cabos, José Antonio Agúndez Montano, for the official hoisting of the Blue Flags at the beaches that were certified and recognized in the category of highest quality environmentally worldwide.